Join the campaign to return The Kilburn State to its former glory as a vibrant cultural centre in the heart of London. Sign the petition! Here's a great resource giving a detailed history of The State, along with Kilburn's many other theatres (who knew?!). Also, here's a nice little collection of pictures of The State in the 80s. Here's a sneak peak into the new State, presumably provided by one of Rauch's suppliers. This is a bit late now, but in case you are interested, here are the details of Brent's decision regarding Rauch's planning application. Proposed change of use from theatre club (Use Class Sui Generis) to place of worship (Use Class D1); demolition and replacement of single-storey WC block to side of auditorium, demolition and replacement of single-storey and mezzanine meeting rooms to front of site; 7 new rooflights to mezzanine, erection of new side entrance and WC extension, installation of metal "stage access" door and new metal mesh screen at rear of site; new vehicular access from The Terrace, new refuse store and metal gates from Willesden Lane; re-landscaping of site, including 50 bicycle stores, 50 car-parking spaces and 3 disabled car-parking spaces, restoration of front elevations facing Kilburn High Road and Willesden Lane. Listed building consent for demolition of single storey element between Brondesbury Mews and side of auditorium, plus toilet block to west of auditorium fronting onto Willesden Lane. Addition of lift and meeting room extension between Willesden Lane block & Brondesbury Mews, along with single storey backstage entrance and toilet extension to west of auditorium. Landscaping around building, including entrance from Kilburn High Road and exit from Willesden Lane with internal alterations to building associated with the change of use of the building to a place of worship, including restoration of front elevations to both Kilburn High Road and Willesden Lane. "They are one of the greatest rock and roll bands of all time. For over four decades, they have changed modern music as we know it. But some of their most famous performances have never been released... until now. 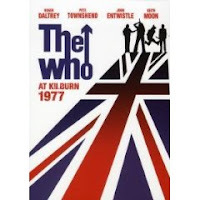 On December 15, 1977, The Who performed before a select invited audience at the Gaumont State Theatre in Kilburn, North London, to record a concert for Jeff Stein's film, The Kids Are Alright, which turned out to be one of the last live performances by drummer Keith Moon." Have a look on Amazon.co.uk. Plans to transform an iconic building have won universal approval. The Gaumont State in Kilburn High Road could be brought back to its former glory after architects' plans for its renovation were unveiled last week by its owners. Subject to planning approval which will see a change of use from an entertainment venue to a place of worship, Ruach Ministries will strip away the State's bingo hall paraphernalia to reveal the building's original splendour. The disused cinema will also have its seats pulled out to transform it into a new community centre for Kilburn. Oliver Curry, who set up Save the Gaumont State to campaign against it being redeveloped, said: "The plans for The State look great - especially the commitment to return the building to how it was in the 1930s. I just hope that the church has the resources to see it through." The project, which will take ten years to complete, has also been universally backed by Kilburn's politicians. Cllr Janet Grauberg, (Lib Dem) Kilburn ward, said: "I'd never been inside the building before and I was bowled over by the size of it, and the beautiful original features. It was great to hear that the church are going to restore the building to its former glory and preserve its historic character, as well as provide community services such as a café and youth nights. No doubt there'll be issues along the way for local residents but I'm really pleased to see people prepared to invest so much money, care and attention in Kilburn." Dawn Butler, MP for Brent South, said: "The Gaumont State building has been an important architectural and cultural landmark in Kilburn for almost 70 years. "This project will renew the legacy of this building and bring it back to the heart of the community in Brent." When it opened in 1937 the State was the biggest auditorium in Europe and has played host to bands including The Beatles, The Rolling Stones, The Who and Deep Purple. It also boasts one of the largest fully functioning Wurlitzer organs in Britain. 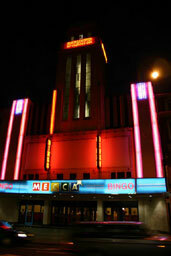 For 20 years the building was run as a bingo hall by Mecca, who put it up for sale in August 2007. The Kilburn State is under threat! When it opened in 1937, The Kilburn State -- a Grade II* listed building -- was the biggest auditorium in Europe, with seating for 4,004 people. Since then, The State has played host to a galaxy of stars -- The Beatles, The Rolling Stones, Marilyn Monroe, David Bowie, Louis Armstrong, Sarah Vaughan, George Formby, Deep Purple, The Faces and many many more. And for the past 20 years, The State has been run by Mecca Bingo. But now Mecca is selling up. The State is closing, and its future is in the balance. There's a serious danger that The State could fall into the hands of unsympathetic property developers, who will deliberately allow the The State decay, and then, when it is beyond repair, tear it down to build flats. Don't let The Kilburn State be destroyed! Join the campaign to return it to its former glory as a vibrant cultural centre in the heart of London.